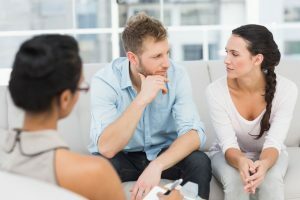 Family Dispute Mediation with Lawyers Present? Overcoming a painful relationship breakdown to sort out legal issues like financial assets and child arrangements is often the last thing you want to do alone, face to face with the person you have left or who has left you. It has to be done, at least in terms of a getting a settlement and the Court is available, at high emotional and financial cost, if you cannot overcome your personal feelings to settle before Court. Twenty years ago Michael Brennan, a specialist family law solicitor at Cheshire firm Stonehewer Moss, experienced the brutality of the divorce process in Court at a time when the alternative methods to settle we have today were not available; you took what the ( usually elderly and male) Judge gave you both and the solicitors charged fees by the number of letters your bitterness against you ex ( or vice versa) could muster. It was not like “LA law” on TV, even wearing his Baumler suit. Over the past two decades family lawyers have acknowledged that better ways to settle had to be found, away from the Court in an adversarial contest. About 15 years ago mediation was taken up by many lawyers, but it did not find favour in most cases because you were trying to sort out legal issues alone in a room without legal advice. Cases continued to be issued in Court. As many non mediator solicitors existed as mediators and there was no real impetus to change. In 2006, Michael was over 15 years qualified and disenchanted with the Court process, along with 5,000 other solicitors who belong to the national family lawyers, Resolution. In America, similar feelings had created an alternative to court called collaborative law, which involved both ex partners and their lawyers contracting not to go to court over their legal issues, using the same lawyers. It is a mutual “buy in” by the representatives and the persons involved. Resolution trained thousands of family lawyers in England to collaborate, including Michael. Of the cases taking up the collaborative option, Michael found they all settled at less emotional and financial cost to his clients and the family; the ex partners set the agenda and keep control of their own outcomes. Unfortunately, the credit crunch caused a slow down in the take up of collaborative, possibly (though mistakenly) seen as a luxury option. It remains a good option. Instead, the financial crisis caused the Justice department to change the rules and slim down the Court system, including the obligatory requirement to attend a mediation intake session before Court. Many people will now be seemingly forced to mediate if they face a legal dispute post separation. Firstly, this is not correct. Nobody can be forced to mediate. More constructively, secondly, the perceived need for those going through mediation to have lawyer support at hand in the mediation room is being addressed. Resolution are supporting the adoption of integrated family mediation, which invites a suitably qualified family lawyer to be present within the mediation room to help bring early resolution to the dispute. Collaborative lawyers are ideally suited to this role and you can find one near to you by searching “find a collaborative lawyer” via the Resolution website. Michael Brennan can be contacted via www.stonehewermoss.co.uk or by e mail to michael.brennan@stonehewermoss.co.uk. This article was added on Thursday, October 15th, 2015 at 11:09 am and is categorised under Child arrangements, cohabitation disputes, Divorce, Family finances, Family Law, General News. Both comments and pings are currently closed. Error: Error validating access token: Session has expired on Saturday, 09-Mar-19 13:12:58 PST. The current time is Wednesday, 24-Apr-19 19:57:45 PDT.